Would-be skiers nervous about the hassles involved in skiing with little ones need look no further than the Chalet La Sonnaille experience. Literally, every concern a parent might have has been thought of and addressed with real insight and a hefty dose of extra luxury too. 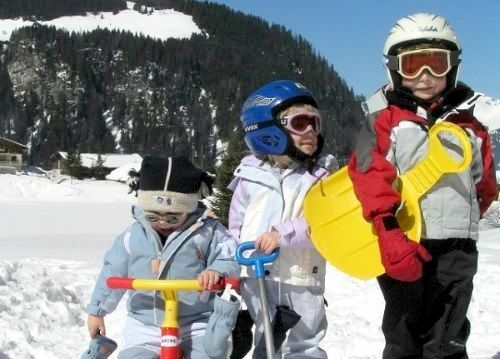 In fact, some might say that, with delicious adults and kids meals, a dedicated family ski service, a hot tub, sauna, playroom and an in-house nanny, plus a ski-in/ski-out location, it has been tailormade for a hassle-free family fun fest in the French Alps! 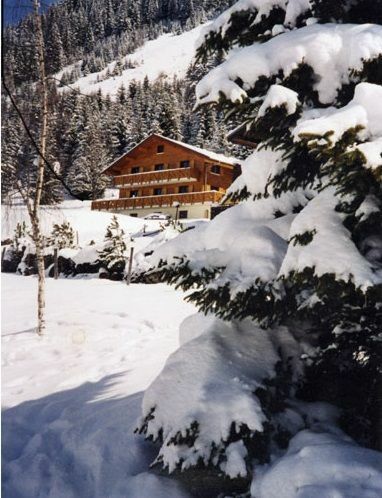 The friendly British owners have purpose built the chalet with families in mind. There are five unusually spacious (for ski chalets) ensuite bedrooms, all big enough for at least a cot and some accommodating two or three child beds too, plus a dedicated kids den/playroom complete with toys, train tracks, art and craft materials, Sky TV and a DVD player, that both frees up the main living room for grown-up relaxation and creates a base for the house nannies from 9am to 6pm daily. 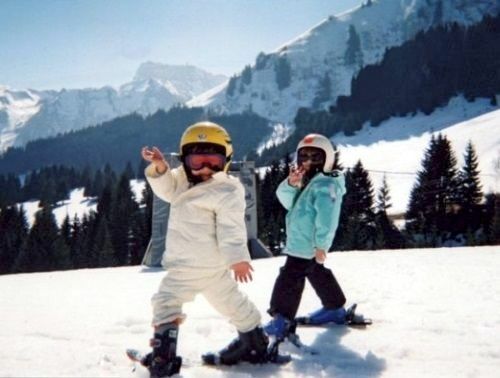 Between those hours, the nanny service offers a fun-packed programme of indoor and outdoor activities that ensures babies, toddlers and non-skiing older kids have just as much fun as the skiers, from treasure hunts and singsongs to sledging and snowman building! 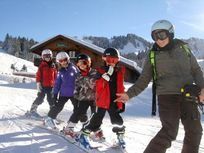 The ‘Snowfocus’ team take all the hassle out of skiing with kids as they offer specially tailored ski lessons for children from 4 years upwards and a separate ‘ski nanny’ who both helps them get geared up and accompanies them to and from the slopes. For younger kids, Snowfocus has also worked with the fully ISTD qualified English ski instructor, Helen Trayfoot, to develop a unique programme for 2 ½ to 4 year olds. Plus, to add a bit of extra family fun, the team organise a parallel slalom on Thursdays, so grown-ups can race alongside their little skiers, whilst Saturdays are the big fun family ski day. All in all, the family friendly ski school, superb slopes for all abilities and wrap around nanny service guarantees everyone has a great time! 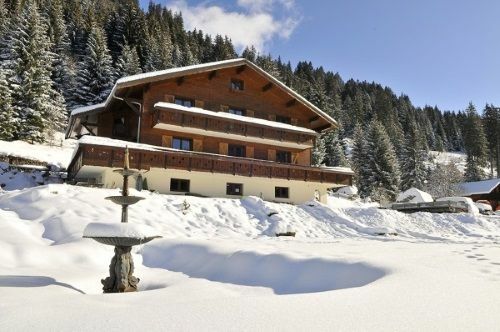 The Chalet itself is in the chocolate-box, Alpine style, with stunning views of the mountains and the Lac de Vonnes. From December 2014, La Sonnaille will also be a ‘ski in ski out’ chalet, thanks to new ski lifts 100 metres away, linking the Super Chatel and Linga Pre La Joux ski areas. There's extra luxury too as families can curl up by a roaring log fire in the panoramic living room with drinks from the honesty bar, or sip Champagne in the hot bubbly bliss of the outdoor Jacuzzi and soothe away skiing aches and pains in the heat of a Nordic sauna. The owners take as much pride in their catering as their family friendly skiing and use fresh, local ingredients to prepare full English breakfasts, afternoon teas and gourmet dinners with wine. 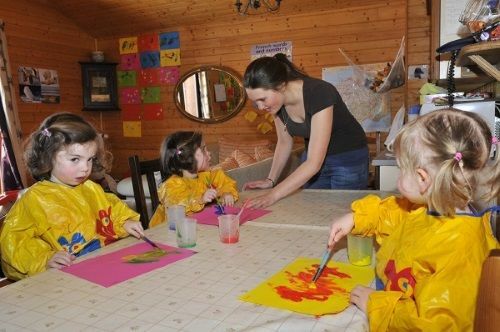 All children are also given a healthy, home cooked tea in the chalet each afternoon, including a yummy pudding. La Sonnaille is spacious and comfortable Alpine chalet with five en-suite family bedrooms which can be booked individually or for exclusive use. 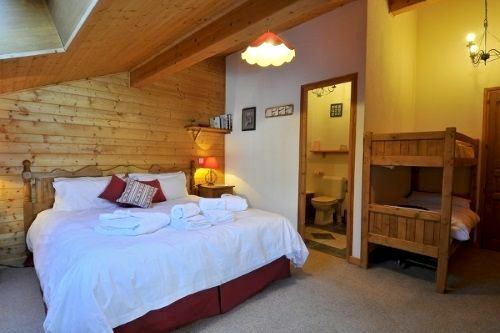 This listing is for the 'Les Chamois' room which sleeps a maximum of two adults and three children. 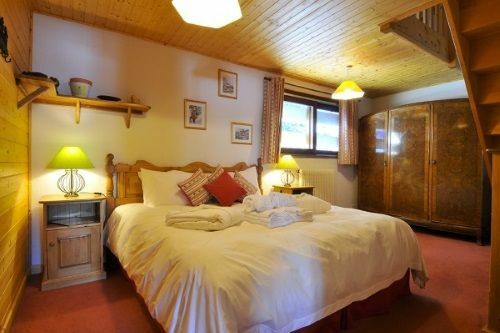 It is a split level room with a king size double bed downstairs and three full sized single beds on the mezzanine upstairs. A stair gate is provided. There is en-suite bathroom with bath and shower attachment. Apart from their bedroom guests also have aspect to the chalets communal areas. The double aspect lounge at La Sonnaille provides stunning views across the Lac de Vonnes towards the Mont de Grange and down the Abondance Valley. 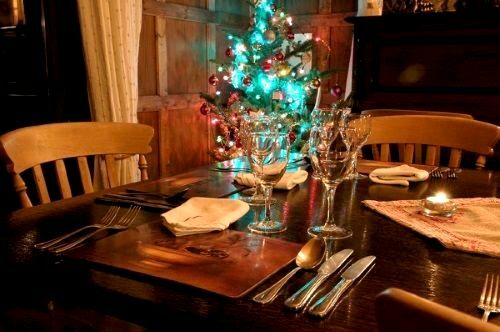 Its furnished with large couches and comfy chairs to cosy up by the big open fireplace, enjoying a range of sprits, English ales and soft drinks from the honesty bar. There is a dedicated play room which is bright and airy with a large sofa and plenty of floor space for playing with all the toys provided including jigsaws, Brio train set, dress up outfits, dolls, soft toys, arts and crafts. The play room also has Sky TV and a DVD player with a selection of DVD’s, as well as the where-with-all to make tea and coffee. Breakfasts and dinners are served in a beautiful wood paneled dining room, with a former magistrates table which seats 12 to 14 people, plus 2 highchairs, 3 clip on table high chairs and 2 booster seats are provided. The lounge opens onto an enclosed south-east facing balcony and the Chalet also has an outdoor Jacuzzi and Nordic sauna. 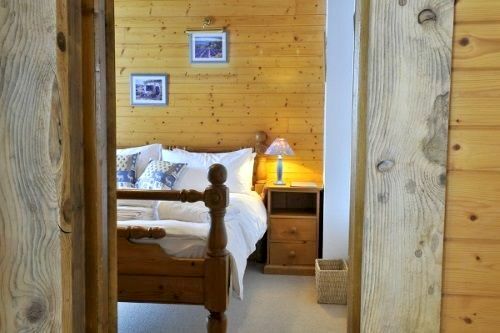 There is space for children to play at the front of chalet, with sledges and bum boards provided for the snowy months and a lush grassy area in the summer with a trampoline, paddling pool, sand pit and ride ons. Important please note: Prices here are based on 2 Adults. Child Supplements at €610pp (6-36 months old), €750pp (4-5 years old) and €975pp (6-15years old). 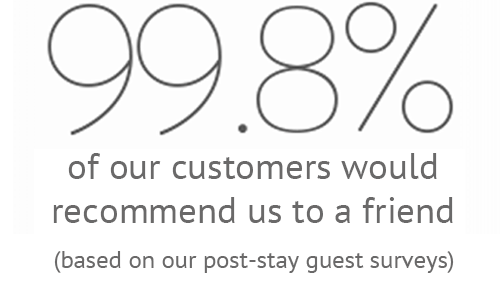 Any children must be added in the options and extras section of the booking request form, to obtain accurate pricing. 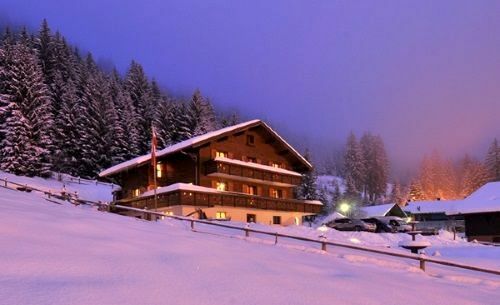 Chalet la Sonnaille is located just 100 metres from the new lifts on the edge of the pretty Alpine village of Chatel. The village has a bustling winter scene, with many bars, cafes and restaurants for a little après ski and there are two cinemas, a bowling alley and a fabulous new swimming pool complex all within walking distance of the Chalet. Holidays begin with a courtesy transfer from Geneva airport to the Chalet, where passes for the ski lifts will be waiting and a member of the ‘Snowfocus’ team will deliver families to the ski shop to get kitted out to hit the slopes. Chatel is at the heart of the massive Portes de Soleil ski region, with links to over 650km of piste, including easy access to resorts such as Avoriaz, Les Gets and Morzine on the French side as well as the beautiful villages of Champery and Champoussin in Switzerland. Located between Mont Blanc and Lake Geneva, Chatel has an excellent snow record, with the most significant snow fall usually between mid-November and the end of April. The resort has also invested in one of the most extensive artificial snow systems in Europe, meaning that snow on the slopes is guaranteed when snow is thin on the ground elsewhere in the Alps. Besides the skiing, Chatel offers a host of activities all year round. For more winter sports, how about huskey sled trails, airboarding, bobsledding and ice skating whilst in summer the village is surrounded by lush alpine scenery for hiking, mountain biking or paragliding and more. 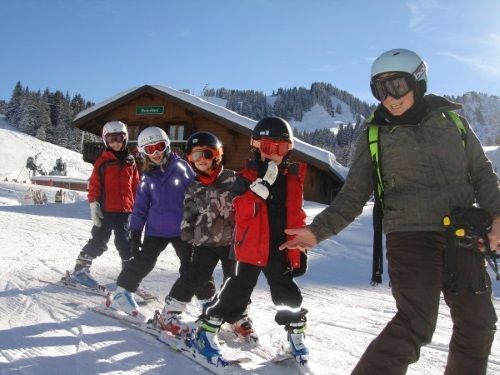 The tourist office also organises a variety of activities and entertainment which help to make Chatel such a family friendly resort, both winter and summer. Nearest Medical Services (GP & A&E): GP in the village, 500 metres. Nearest A&E 40 minutes away at Thonon les Bains. Getting here: Nearest airport is Geneva, which is just over 1 hrs 30 minutes by car. Please note: Prices based on 2 Adults only. Child Supplements at €610pp (6-36 months old), €750pp (4-5 years old) and €975pp (6-15years old). Any children must be added in the options and extras section of the booking request form, to obtain accurate pricing. Les Chamois sleeps 2 adults + 3 children in a split level room with a king sized double downstairs and three single beds on the upstairs on mezzanine. 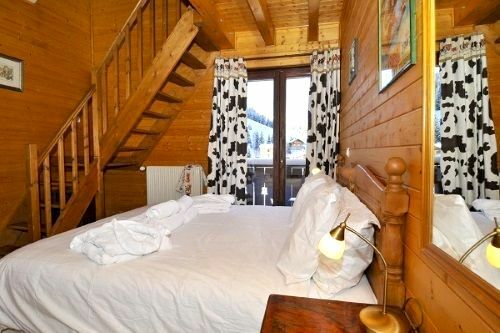 The Chalet is around 90mins drive from Geneva airport. Airport transfers are included, arrangements must be made with the owner before booking flights. The village pool, cinema, shops, bars and restaurant are all within a 500m-1km walk. 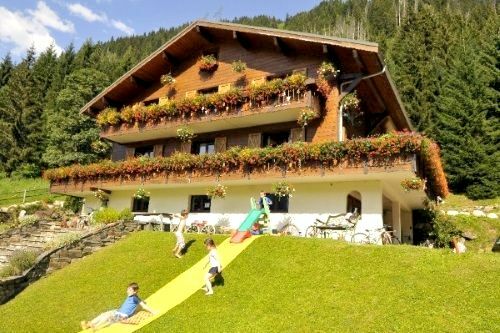 This baby-friendly chalet has a well-equipped play room with toys, games, SKY TV, DVD player and coffee making facilities for parents. Nursery gear available at this child-friendly ski chalet includes: cots (1 wooden, 2 x travel cots), 2 highchairs, 3 clip on table high chairs, 2 booster seats, 1 x baby bath, 2 x baby bouncer, 2 x baby monitors, 2 x sterilisers, potty, stairgates, bed guards, socket covers, plastic crockery, plastic cutlery and sippy cups. Nappies are provided, wipes and changing mats. This child-friendly ski chalet boasts bath toys, kids books, general toys, U-rated kids DVDs, brio train set and trains, puzzles, dressing up, dolls and pushchairs, soft toys, Play dough, colouring and painting. Buckets and spades, ride-ons, sand pit (summer only), paddling pool,(summer only), trampoline (summer only), sledges and bum boards. The chalet has a large south facing balcony with lake views and a 800 metre garden with sledges and, in summer, trampoline and paddling pool. Located at the heart of the massive Portes de Soleil ski region. Up to three cots can be provided 1 x wooden and 2 good quality travel cots as well as 2 x highchairs. Working fire place in the lounge. The chalet has a jacuzzi and a sauna.